Use HoudahSpot to find important documents, mail messages, photos, image files and more. HoudahSpot shows search results in a convenient and easy-to-use interface that keeps all the important details at your fingertips. Find files by name, text, file extension, author, recipient, image resolution, etc. HoudahSpot is a powerful desktop search tool. 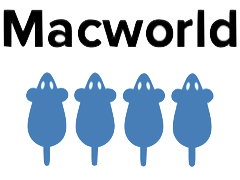 It builds upon macOS Spotlight to get you to your files in no time. HoudahSpot takes all the tedium out of file search. Use HoudahSpot to locate hard-to-find files and keep frequently used files within reach. HoudahSpot is an essential tool for professionals and power users who work with thousands of files. HoudahSpot picks the needles out of the proverbial haystack. Loving the new HoudahSpot 5.0. It consistently finds things that no other search app can find. I love HoudahSpot - way, way better than Spotlight as a search app for @Apple Mac computer. HoudahSpot may be the most helpful application I own. I am a new user of HoudahSpot and wow, just wow! 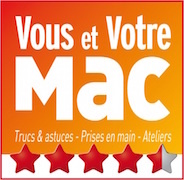 There’s nothing else like it [HoudahSpot] for Mac users by a long margin. HoudahSpot is the best-designed and most useful application I’ve ever used. If there is one utility that is indispensable for me on the Mac, HoudahSpot is it (locates files on disk). HoudahSpot is absolutely both a necessity and critical in making my workflow life manageable! A smarter, better, faster way to find files. Finder works for easy things - HoudahSpot does the heavy lifting. For me a true killer app since years – helped me so often finding long missed info fast and easy. 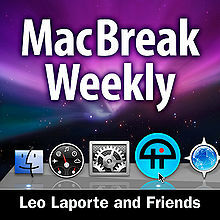 This is the most-used app on my MacBook Pro. The ‘HoudahSpot’ app is simply amazing! I was literally speechless at how good it was. HoudahSpot 5.0 requires macOS 10.13 or later. Find files by typing just a few words. HoudahSpot starts the search at your command: Hit Return when you are ready. Add criteria to narrow down your search to the exact files you are looking for. 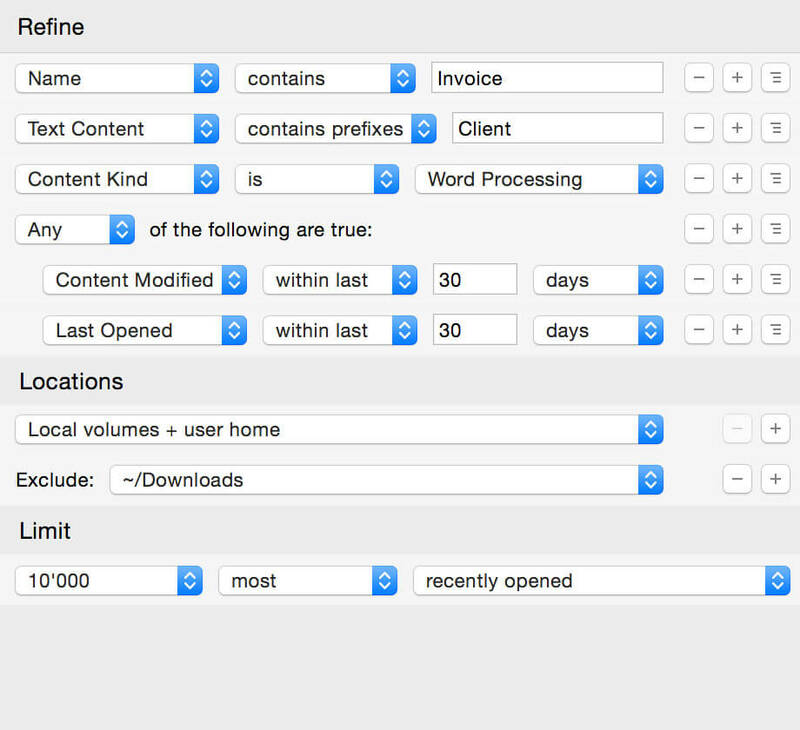 Choose from hundreds of attributes to search by: name, text, tags, file size, date created, etc. Combine criteria into groups to find files that match any, all or none of the criteria in the group. Aka. boolean operators. Search text for words, prefixes, or exact phrase. Use “*” as a wildcard for partial matches. Search several locations at once. Specify which subfolders to include and which to exclude. 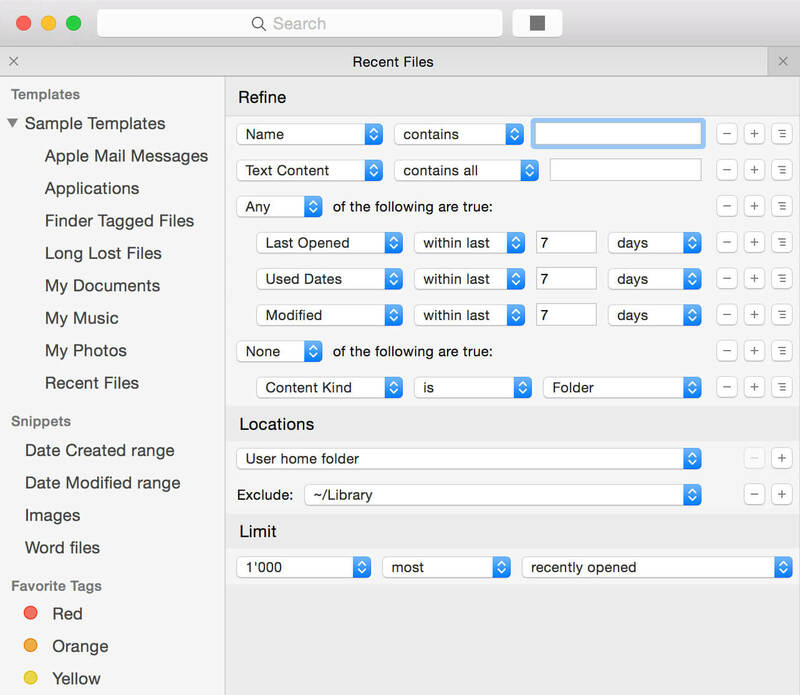 HoudahSpot can, for example, search your home folder, skip the Library folder, but still show results from the Mail folder, which is nested within your Library folder. Customize results display: view as list, icons, or thumbnails. Add and sort by any of the hundreds of columns available. 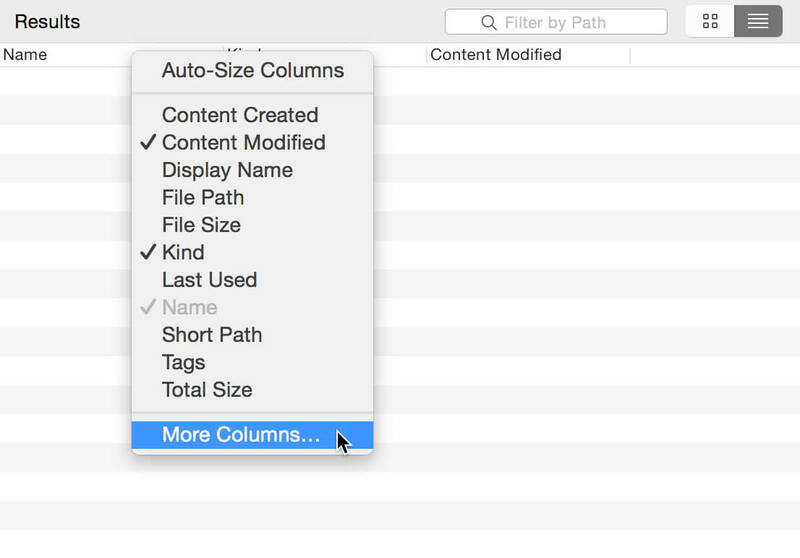 See file paths, folder sizes, image dimensions, etc. Arrange search results in groups by kind, date, size, or application. Save your perfect setup of criteria, locations, and display options as default for new windows. The Info pane, Quick Look and Text Preview help you explore search results and pick the files you are looking for. A concise summary shows the most relevant properties of found files. These include file size and modification dates as well as image dimensions, video duration, etc. 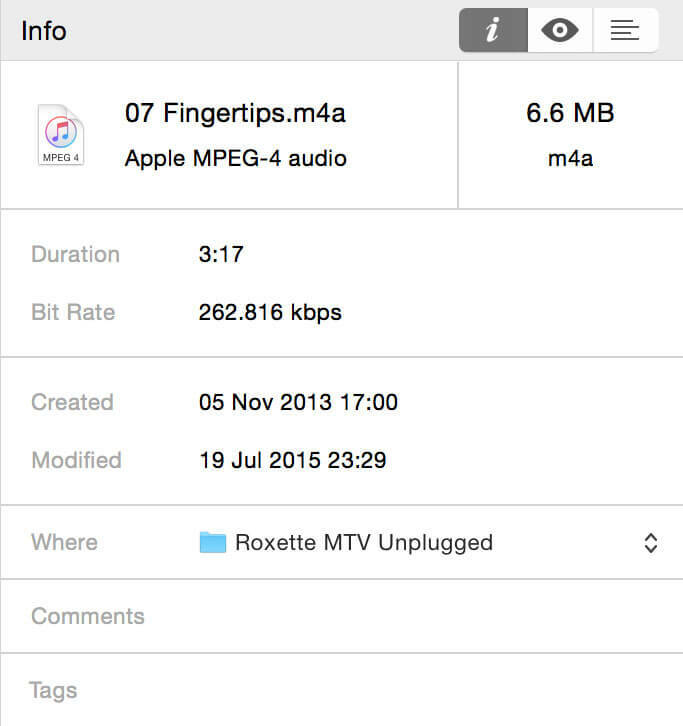 The Info pane also shows detailed file properties and metadata as indexed by Spotlight. Use this information to filter search results or to create new search criteria. Quick Look and Text Preview let you peek inside found files without having to open them. HoudahSpot’s Text Preview has the unique ability to highlight text you searched for. HoudahSpot 5 can “fold” the preview to show only text close to highlighted matches. This makes it easier to see the context in which the text was found. You may even be able to pick up the information you are looking for right from the preview. Save searches as templates. These serve as blueprints to create new searches. HoudahSpot comes with a set of sample templates. 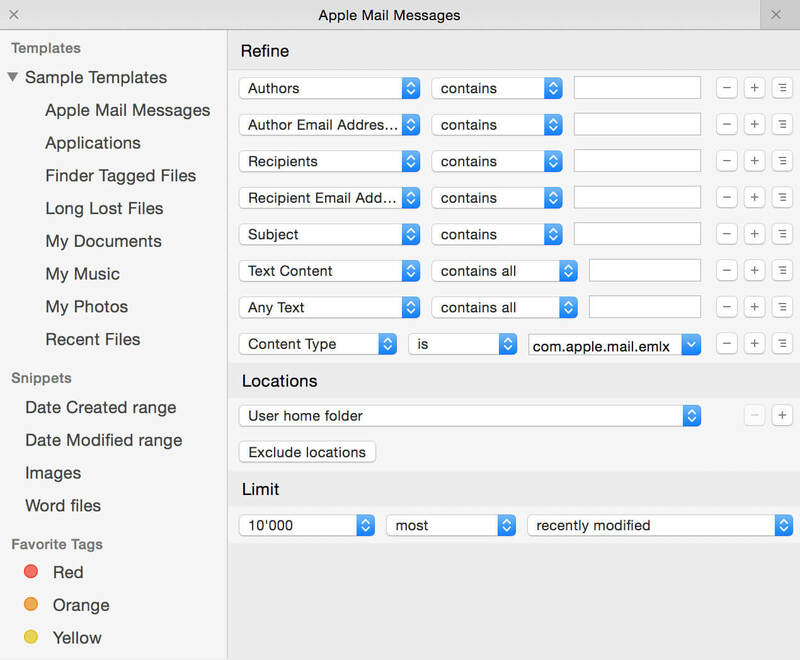 The “Apple Mail Messages” template is set up with useful criteria for finding email messages stored by Apple Mail. Templates also allow for quick access to frequently used files. The “Applications” sample template lists all your applications. “Recent Files” will find files opened or modified within the past 7 days. 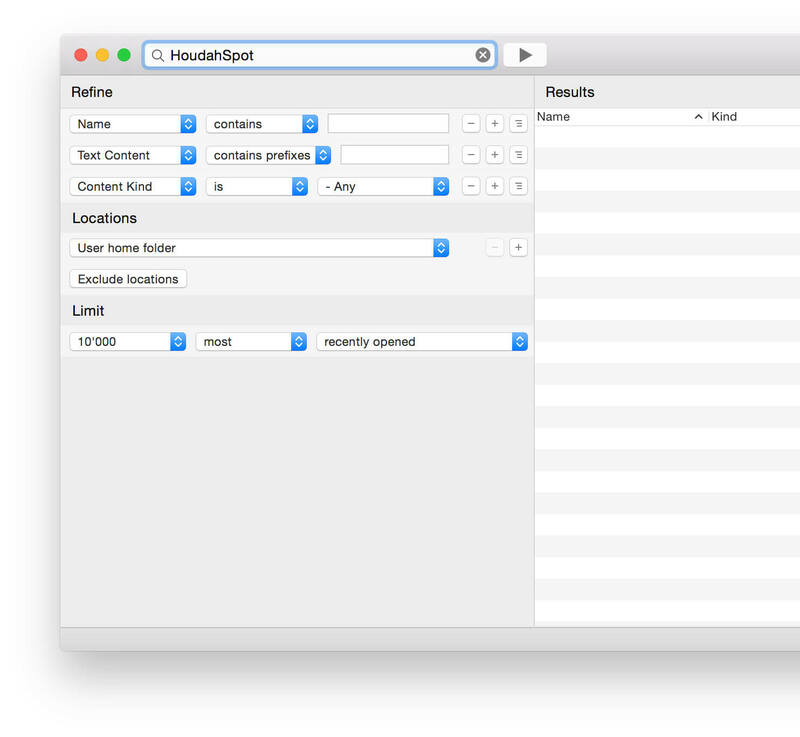 Start HoudahSpot searches from third party tools like Alfred, LaunchBar, Butler, etc.